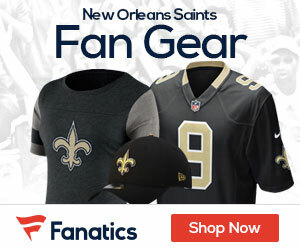 What Do Saints Need At NFL Draft? It’s shopping and we’re not talking about the online version. On Thursday, April 28th, the NFL Draft begins, which means all 32 teams will be filling their shopping carts with prospects to help boost their own prospects for the 2011 season – if there even is one. The Saints are a team that is coming off a very disappointing playoff appearance as they were upset by the Seattle Seahawks, who were deemed to be the weakest playoff team of the 12. So what went wrong and what can the Saints do to fix it at the draft? One of the reasons the Saints are favored on the NFL odds on a weekly basis is because of quarterback Drew Brees and the offense, so that figures to be the side of the team that needs the least help. On defense, the Saints will have the scarring memory of Marshawn Lynch breaking about 52 tackles on a back-breaking, season-ending touchdown run for the Saints in the NFC Wild Card game. Clearly, the tackling needs to improve. From a talent standpoint, the Saints could address the defensive end position. Will Smith is effective but opposite of him there is no real threat at the position – at least to get to the quarterback – and the Saints could balance out the line by adding a pass-rushing threat on that edge. Whenever tackling is a concern, the linebackers will be put into the spotlight as that is what they are supposed to do. Scott Shanle is an unrestricted free agent and that is the position they could look to fill if they don’t feel they can resign him. Since we’ve covered the first two levels of the defense, we may as well add the last into the equation. Roman Harper and Malcolm Jenkins are both solid starters but Harper could be a free agent when the lockout is over and the only depth behind them is Darren Sharper, who is unsigned and could opt to retire regardless. On offense, the Saints need some help at running back and that might be the position the team decides to address first but the Saint definitely have some holes to plug on the defensive side of things if they want to get back to their Super Bowl caliber.